Soup is one of my very favorite foods. It is so versatile, you can use just about anything as a soup base. Soup is also practical for the colder months of the year because it does a great job of warming you from the inside. My soup type of choice is a blended or creamy soup. 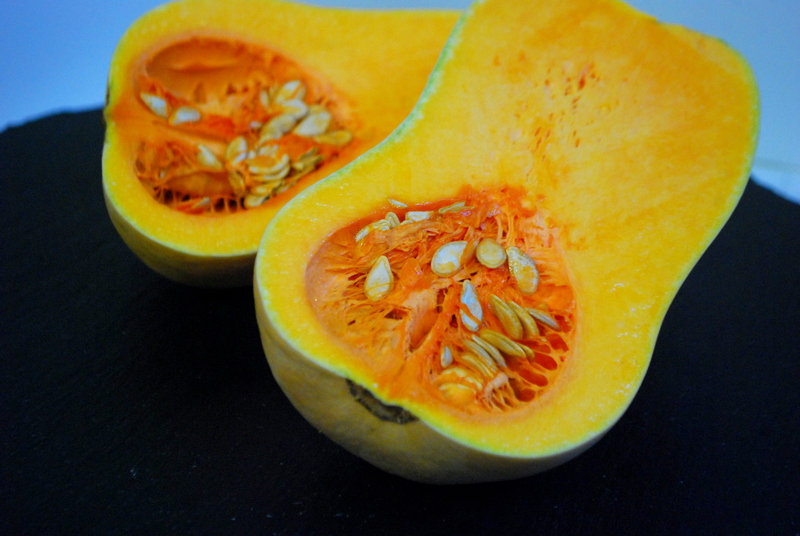 Butternut squash, or any winter squash for that matter, lends well to creating a creamy textured soup. Preheat oven to 350F. 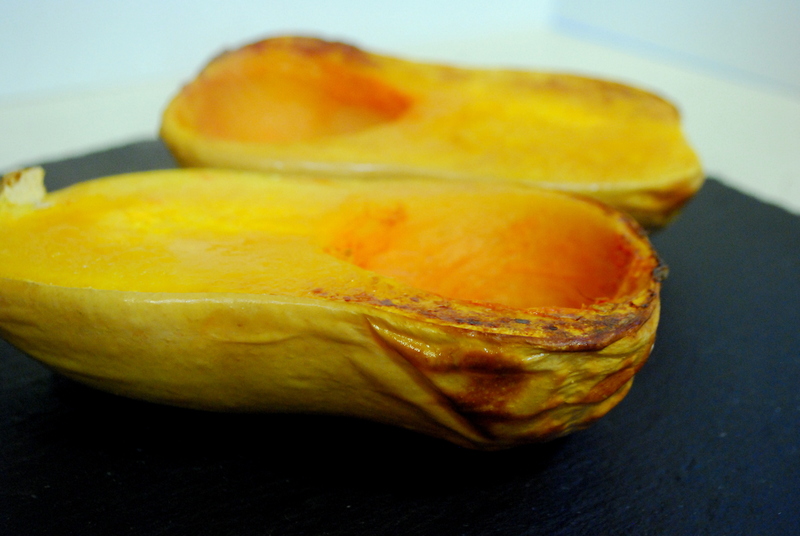 Slice squash length wise and lay flesh side down on a baking sheet that has a silicone mat or parchment paper in it. If you don’t have a silicone mat or parchment paper, just be sure to generously coat with olive oil. 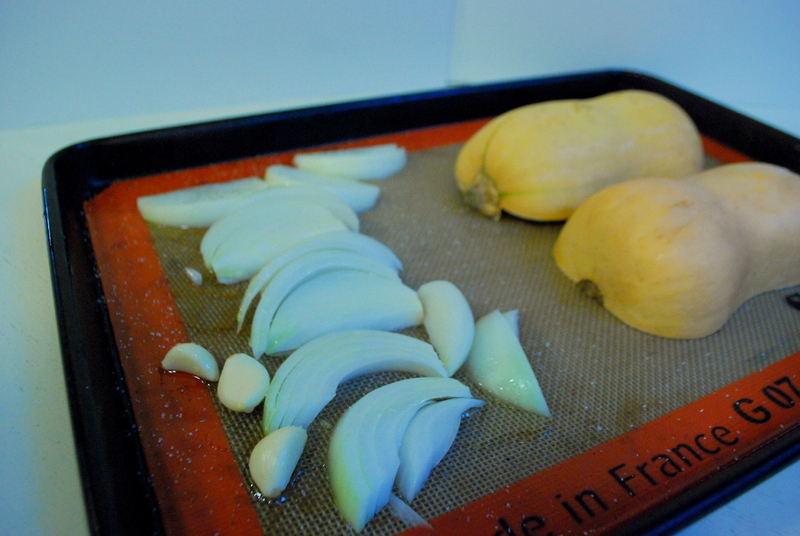 Slice half an onion into medium-large pieces and add to the pan, along with the whole cloves of garlic. Bake for 30-40 minutes, or until everything has caramlized. 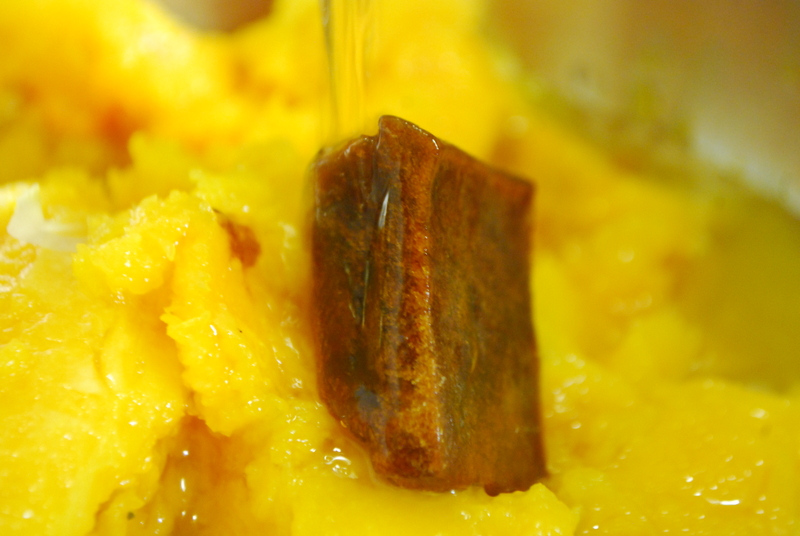 Scoop out the sweet flesh of your squash into a small-medium sized pot. 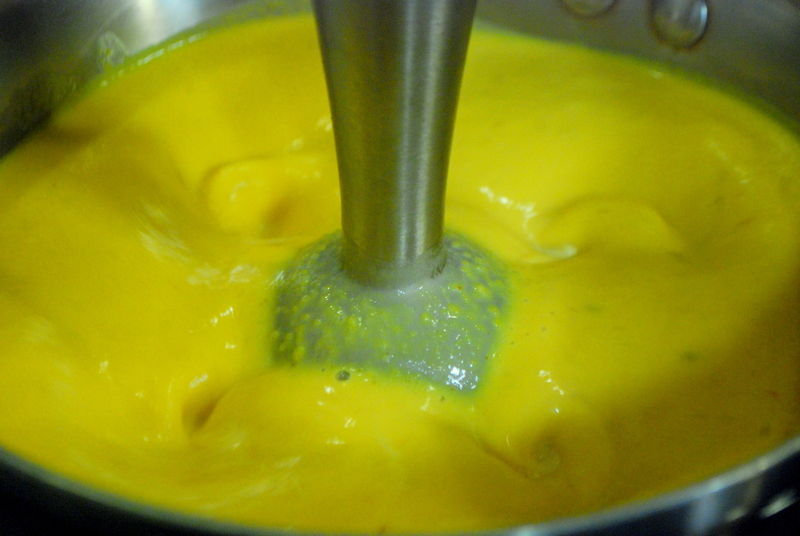 Using a pot that is not too large will help when it comes time to use your immersion blender. If the layer of soup is too shallow, it will splatter all over the place while blending. Add all other ingredients to the pot. I used a cube of glacé de poulet, or chicken bouillon. It’s a good plan to always have some bouillon in your fridge or freezer at all times. Of course, if you prefer the soup to be vegetarian, substitute the chicken flavoring for vegetable stock. Blend until it is a smooth consistency, then add more liquid if too thick, and adjust the seasoning. 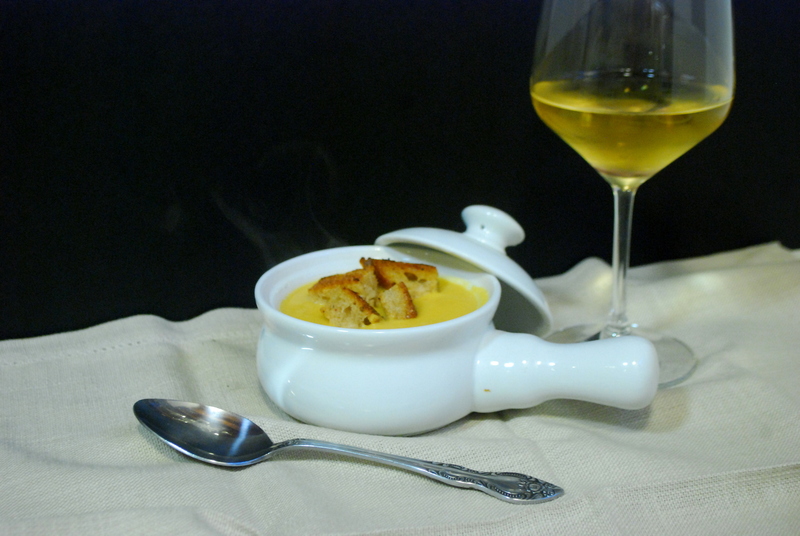 Serve with croutons and pair with a glass of a light bodied Chardonnay, such as one of my favorites by Storrs Winery.